For his solo exhibition at CMOA, Ian Cheng (b. 1984) presents Emissary Sunsets The Self, an open-ended digital simulation displayed on a massive, 17-foot LED screen in CMOA’s Forum Gallery. Cheng is best known for his digital simulation works that draw on his background in cognitive science and his research into artificial intelligence (AI). 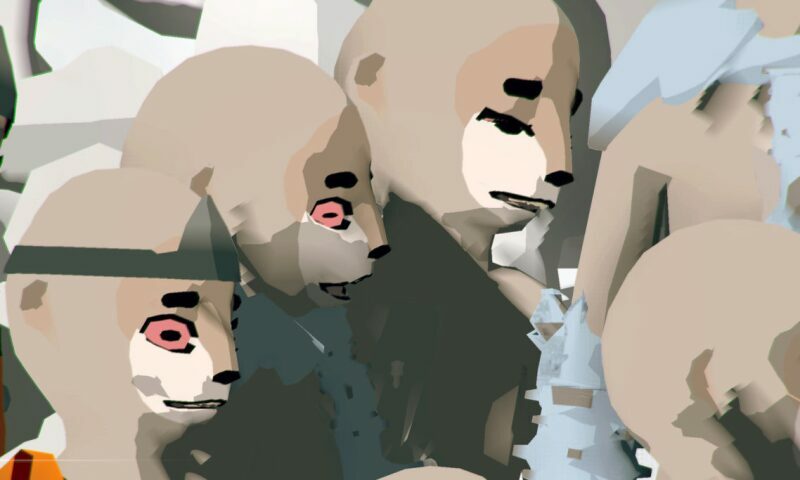 Coding these unpredictable animated worlds from the ground up, he uses the language of video games to probe complex themes such as evolution, human behavior, and the history of consciousness.